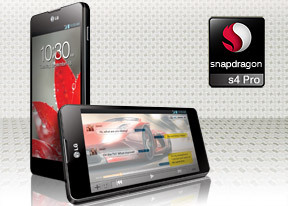 GPU benchmarks brought more of the same, the LG Optimus G and its Adreno 320 GPU making easy work of the competition. The GLBenchmark 720p offscreen test shows that the raw performance of the Optimus G graphics are way better than that of its high-end rivals. The 60fps result at NenaMark 2 might suggest that there's not much difference between the Optimus G and other quad-cores, but there's actually more to that score. NenaMark 2 renders on-screen, which means that 60.0 fps is the highest possible result that a smartphone can get. So the fact that the LG Optimus G got a perfect score suggests that it has more in reserve than its rivals - it was able to maintain the maximum framerate through the most intensive parts of the test, whereas others failed to do so.